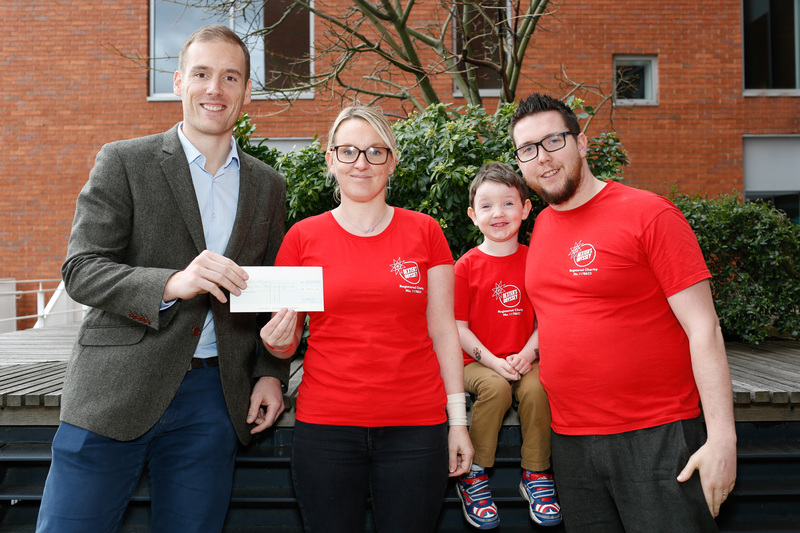 West law firm Ashfords newly-established charitable foundation has awarded its first grant – to children’s cancer charity Dexter’s Odyssey. Based in Kingswood, the charity was established last year in memory of Dexter Liebow, who was diagnosed with stage four neuroblastoma in 2016. He underwent more than 20 rounds of chemotherapy and spent months in Bristol Children’s Hospital’s oncology ward before he passed away aged just eight years old. The charity helps families dealing with a new childhood cancer diagnosis by providing care packages and days out as well as supporting oncology play departments with new equipment. His mum Lucy said: “Dexter’s Odyssey was set up to help families that are not only going through the heartache of having a child diagnosed with cancer, but also some families who struggle financially. We’d like to take that burden off of them and give them one less thing to worry about. The Ashfords Foundation’s £750 grant to Dexter’s Odyssey will fund pottery decorating workshops twice a year on the oncology ward at Bristol Children’s Hospital to help create family memories. The foundation has been established with very clearly-defined objectives to support smaller charities and community organisations through two grant programmes: Supporting Communities and Preserving Communities. The first offers one-off grants of up to £750, while the second supports established charities and not-for-profit organisations develop a solid foundation for the future, helping them build sustainability for the long term with grants of up to £5,000. Applicants must be local to one of Ashfords’ offices in Bristol, Exeter, London, Tiverton and Taunton. Foundation trustee Rory Suggett, who works in Ashfords’ Bristol office, said: “Both our charity of the year and existing CSR programmes have been very successful, and partners and staff at Ashfords have been fully engaged in both, as well as in wider charitable fund raising.